Assistant County Administrator Lee Ann Lowery has submitted her notice of retirement, effective Sept. 30, 2016, County Administrator Tom Harmer informed the County Commission in a Dec. 9 email. When she steps down, Lowery will have completed 30 years of public service in the Florida Retirement System, the last four of those in Sarasota County government, Harmer added. During her tenure in Sarasota County, Lowery has filled in at various times as environmental resources director and as parks recreation and facilities director, the county’s website says. She has overseen the Public Works; Planning and Development; Mosquito Control; and Housing and Community Services departments as well as those of Environmental Resources; and Parks, Recreation and Natural Resources. 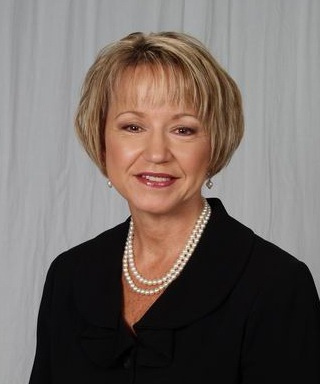 Her decision will give Harmer the opportunity to bring in the first outside hire for county administrative staff since former County Administrator Randall Reid began assembling his team in 2012. Reid, who began work with the county in January 2012, won a County Commission vote of approval in August 2012 for his appointments of Lowery and Mark Cunningham as assistant county administrators; Lowery began work on Sept. 10 of that year. A news release the county issued at the time said Lowery was assistant county administrator of St. Lucie County, where she had worked since 2007. The release added that she has a Master of Public Administration degree from the University of Central Florida and 25 years of experience in public administration in Florida, including a stint as assistant city manager in Gainesville. In the latter city, she handled community services projects and programs for homeless people, the release noted. “She has been manager of Youth and Family Services for Orange County, and she worked for the Orange County School Board as senior manager for government relations and real property,” the release said. 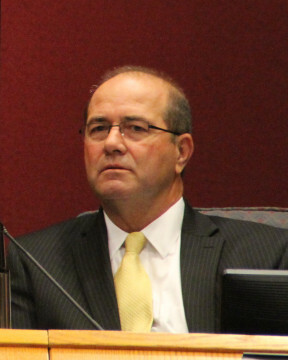 The County Commission fired Reid in October 2013 and formally hired Harmer as his replacement in January 2014; Harmer had served as interim county administrator at the board’s request. In his only administrative-level appointment to-date, Harmer named County Chief Financial Management Officer Steve Botelho acting assistant county administrator, effective Feb. 24, 2014. In August 2014, Harmer formally made Botelho an assistant county administrator. Harmer has undertaken some reorganization of county government over the past 18 months, including moving staff members of the former Natural Resources Department into other divisions. Natural Resources’ regulatory work became part of Planning and Development Services, while the management of the Environmentally Sensitive Lands initiative was placed under the aegis of Parks and Recreation. The latter department became Parks, Recreation and Natural Resources following the changes, which went into effect on Oct. 1, 2014. That was the first day of the county’s 2015 fiscal year.